Terrorism is probably the most discussed topic nowadays be it for fear mongering, to give horrible events a ‘place’ or simply because this is the state of the world we currently live in. Nonetheless, there is a lot more than meets the eye, and Eye in the Sky will show you a different facet of the war on terror, namely the decisions soldiers have to make, and live with. Innocent bystanders’ lives are often describes as collateral damage but in reality, these lives matter too, perhaps even more than you could imagine. Al-Shabaab is probably one of the biggest known terrorist organizations that has been plaguing Africa for quite some time now. They want to enforce the Sharia-law for everyone, and if they have to kill to see that their goals are met, they will indiscriminately kill whoever crosses their paths and does not believe in their methods. This brings us to the American military, who have located three of the top five figureheads of the terrorist organization, and while initially the orders of the military were to capture these men/women alive, the plan rapidly went south, forcing Colonel Catherine Powell (Helen Mirren) to make a difficult choice, namely bombard the location these terrorists are currently hiding or not. She is quite certain she wants to dispose of the villains before they can do damage, as they have explosives in their hideout, which can be studied thanks to a small drone with a mounted camera, in the shape of a beetle. When trying to press on to her decision of bombing the culprits, the politicians still have to fight things out in order to actually make it happen. While the overall consensus seems to be heading towards a positive answer for Powell, the situation once again changes when a child wanders into the blast zone and shows no sign of leaving anytime soon. 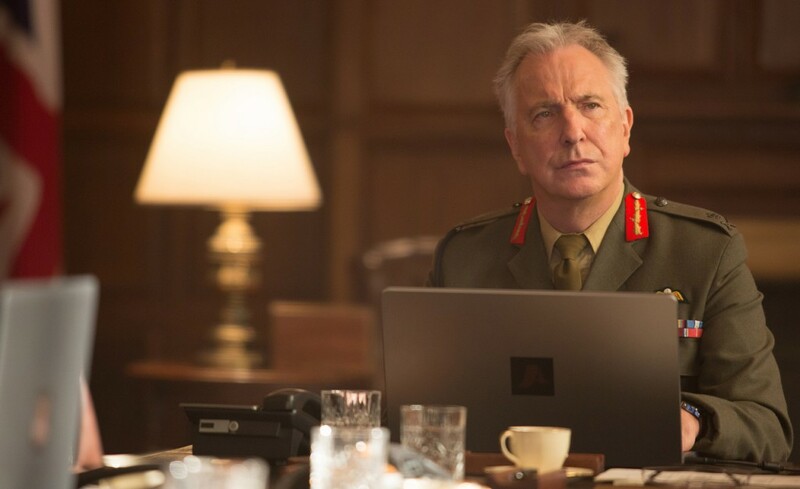 On one hand some of the politicians do not want to make the decision anymore, while Lieutenant General Frank Benson (Alan Rickman) tries to convince them they have to proceed with the bombing. 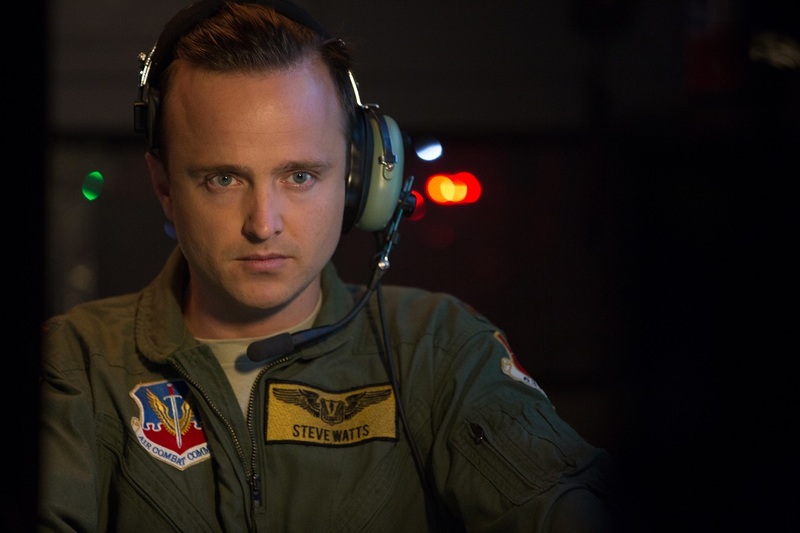 On the other hand you’ll have Steve Watts (Aaron Paul) and Carrie Gershon (Phoebe Fox), both soldiers, who will have to make the actual shot, who are now also hesitant, as they do not want to take an innocent child’s life. The flow of the movie is rather slow, as nearly the entire story revolves around making the choice of launching a missile strike, whether the little girl in range dies or not. This means that you’ll go back and forth from the situation in Africa, to the soldiers who will have to make the shot, and of course the pencil pushers who have to decide the course of action while sitting lazily on their asses. The latter is still rather interesting, as it paints a proper picture of how certain politicians can discard human lives so easily, while others hold to extremely noble principles that would not help this world either. Before long it becomes clear that this movie is not about action or warfare in general, but the people that have to follow orders or have their finger on the button, even if they agree with the higher echelon or oppose their choices. At the end of the day, a soldier does what he is instructed, or at least tries to do so. Even when it’s clear that many casualties could be prevented, the soldier himself will hold until the politicians decide the course of action, or vice versa, when they make a horrid decision, most of the time the soldiers will follow said instructions, and that’s what the creator probably had in mind when putting his script into production. Even though Helen Mirren is probably the star of the movie, the other cast members do a superb job as well, and you’ll see a sufficient amount of familiar faces pop up hither and thither. Iain Glen, who has been the face of Jorah Mormont in Game of Thrones for quite some time now, and also has sufficient other acting experience, might not have the biggest role in this movie, he does add a layer of quality on top of the already qualitative cast. Barkhad Abdi will also have a familiar face for many, he still has a much shorter list of achievements compared to many of the other cast members, but he plays his role exquisitely. Sadly there are no special features to be found on this Blu-ray release of Eye in the Sky. While the movie is more than sufficient on its own, testimonies of soldiers or even politicians could have strengthened the atmosphere of the movie, forcing you to ponder further on the matter that is currently plaguing our world, albeit from another direction. All in all, something extra would have been nice. 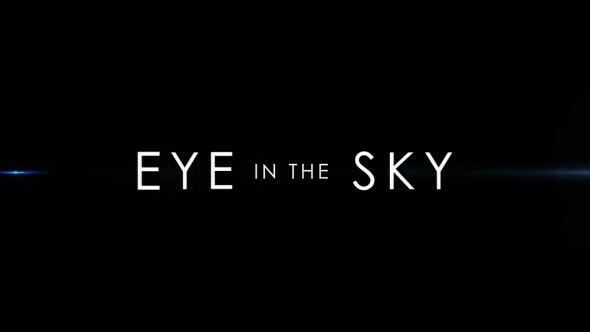 Eye in the Sky is a fairly well constructed movie for those who are fond of seeing the political side of warfare, albeit only in one tiny aspect. You’ll be treated to a suspenseful movie, which might have a rather predictable ending, it’s clearly more about the choice itself, as well as the emotions of those who have to make the call. Overall a decent watch if you’re into this kind of movie but if you’re looking for a decent amount of action sequences this flick might not go down that easily.